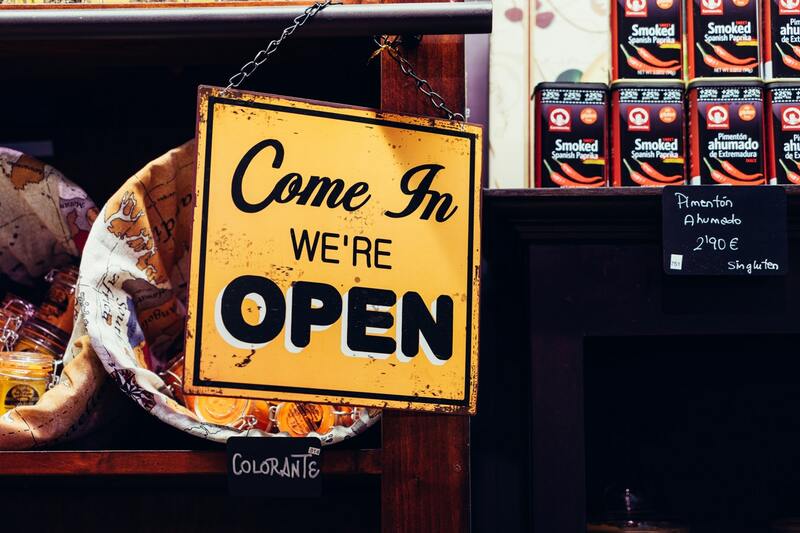 Is Shopify a Revolution for Business Builders? I remember graduating college with a lot of fear. I didn’t like to admit it to anyone. Not my fiancee. Not my parents. Not my classmates, friends, teachers, and career counselors. But the desperate scramble to get employment, living on small paychecks trying to keep up with the cost of living, and those student loans.. well it was a pretty scary concept. Several of my friends and I quickly realized that entrepreneurship was the key. Being innovative, and building a business flexibly with very little money to start out, we soon realized that the INTERNET gave us an opportunity to not only build businesses, but gain enormous freedom of time, and even to build wealth. As a bunch of 20 year olds, we had once thought this a nearly impossible achievement. For people looking for a money-making opportunity online, it has become apparent that Shopify is a revolution! This is Shopify in detailed review. Who Can Build a Business With Shopify? At its most primal core, Shopify has one mission: to make building a profitable business online possible for anyone. If you’re like me (and even if you’re not) the idea of the technology involved in creating an online business can be incredibly daunting. The majority of people looking to start businesses don’t know much about coding, plugins, search engine optimization, or website design. Shopify does this for you! Managing all of the technology details, giving you all of the tools necessary to make a beautiful, and extremely professional looking website, and even allowing you to customize and personalize your store. – Anyone trying to make money! There is no specific target market for Shopify beyond people hoping to become entrepreneurs, gain more freedom, and make more income. There are many users on Shopify who have created multi-million dollar businesses, and sold their businesses for over $10,000,000. Many have created healthy 6-figure businesses. This may sound strange, or make you skeptical. I know it made me feel this way for a while, before I started to delve into the actual method to the madness. The people creating these lucrative businesses, retiring young, traveling freely or working where and when they want, are not often unusual geniuses or inventors. They’re regular people, sometimes with a dash of creativity, who decided to take action instead of dismissing an unfamiliar concept. So you have your product. Even if you haven’t thought of one yet, don’t panic. You need to remember this; the value of almost every product in existence is in the BRANDING. The mantaray wallet I carry cost somewhere between $20 and $30. It’s a nice brand, real leather, smells great… the company got that wallet for about $4. That organic, super natural shampoo that you’re buying for $14 per bottle? The company may have got that for around $3. You can get a real fox fur coat at cost for about $250. Most brands sell real fox fur coats for several thousand dollars. There are full fur coats selling online for over $30,000. These companies pay around $250. Think about that profit margin for a second… being conservative we could say a $25,000 investment could easily flip for over $250,000. That’s a decent chunk of profit. The value is in the brand. Even if you don’t have money to buy extensive inventory, there are strategies to get around that. Crowdfunding. Pre-selling. These are all things you can learn. This is where Shopify comes in. There is a massive amount of education within Shopify on how to create a brand name and campaign that will sell, and then it provides the user with all of the tools necessary to get to your goal. Aesthetics are hugely important. The appearance of your inventory. Your marketing. The smoothness and speed of your website. The clean simplicity. Ease of use. These factors all affect your brand. And this can be done with ease! You can save enormous amounts of time, energy, and money by delegating the heavy lifting to Shopify. So What Are The Tools Shopify Provides? When you think of all of the things that need to be in place for a business to run successfully it might make your head spin. – it creates the shopping cart for you, as well as the ability to instantly accept multiple payment options, like credit and debit cards, Paypal, etc. 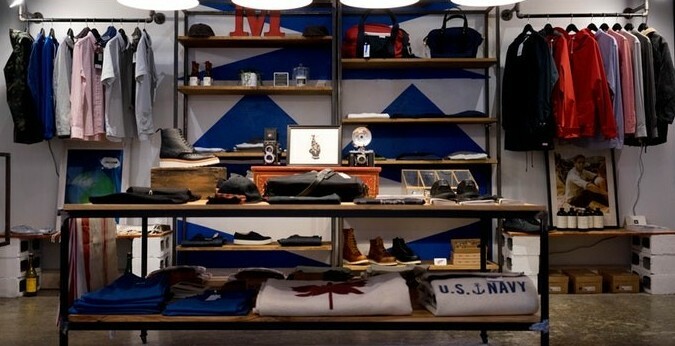 – Shopify even has a Point of Sale (POS) system that can integrate with your physical store if you have one! Essentially, you can use a tablet to connect your register to your Shopify store, accept card transactions, and even provide an extensive online catalog. There are even options you can add that will do things like book-keeping and accounting for you! I’ll mention these apps below. These tools save hundreds of hours AND thousands of dollars in running the business. Never mind the reduction in stress. There’s a notorious killer of thriving businesses on the loose. Your young business may not be in as much danger, but once you really get rolling and start to sell with significant volume one of the most fearsome killers of success is being spread too thin. What happens is that there are so many different aspects of running a business that require time, attention, and expertise, that a business owner trying to handle it all themselves will eventually just collapse. Most business owners find that their only choice to survive is outsourcing or delegating some of the responsibilities by hiring employees. Needless to say, this is extremely expensive. Shopify provides a library of apps that you can add to your store to accomplish these tasks, mostly or entirely autonomously! Many of these apps are free. Be aware that some of them have monthly costs, such as a book-keeping app to manage sales tax and other nitty-gritty number crunching jobs. But the expense of these apps is still nothing compared to paying someone else to do it for you, and once your business is large enough to need this help, a management fund for things like this is necessary anyway. For anyone who has even dipped a toe in modern marketing, or has ever walked through a shopping mall, one thing should be abundantly clear… Looks are huge. Chalk it up to society’s superficiality but A LOT of stock is placed in how something appears, how it smells, how it tastes, what it represents, and the emotions that its sensory appeal gives you. This is especially true in sales. This is why it is absolutely pivotal that your website or webstore look, to be honest, awesome. It needs to look modern. Maintained. Clean. Free of poor grammar, sloppy amateur images, and clunky navigation. All of these things say something to your (potential) customer about your store. Is it trustworthy? Is it the real deal? Does it deliver quality? Are you transparent, authentic, reachable, and consistent? I was really excited to find that Shopify offers a series of website themes and templates that look impeccable! With a few clicks of a button, your website can look like it was designed by a team of professionals (because it was), and your inventory presented through expensive photo shoots (which it wasn’t). Add some of your own personal touch, and your brand (remember that word?) will look like the final word in classy. Or grungy. Or shabby chic. Or trendy. Or whatever it is that your target demographic will love. It’s all about validating your brand, and building trust. Shopify support is the bomb. I had heard that their support system was “award winning”. Who knew, they apparently hand out awards for that kind of thing. But I didn’t really grasp it until I experienced it. Not only was the support available constantly, 24/7, but their responses to me were fast and thorough. While many of my experiences with “support” from different programs I’ve used have just left me more confused than before, Shopify personally took care of my needs when I unsure about something. This is extremely important, whether you’re brand new to the online business, or an expert business builder. If you can’t get support when you need it, you’re better off somewhere else. Give the live chat a try, email them, talk to Shopify itself or the community of fellow entrepreneurs, whichever way you go you have actual support. I have only found this level of support in one other online venture that I use, with a program called Wealthy Affiliate. It’s more of a blogging business, but Shopify and Wealthy Affiliate are the two best support systems/communities I have experienced online, and I have experienced many (I can still feel the lingering migraine). This is another part that blew my mind. Anyone who is familiar with the process of running a website or webstore knows how much hosting matters. 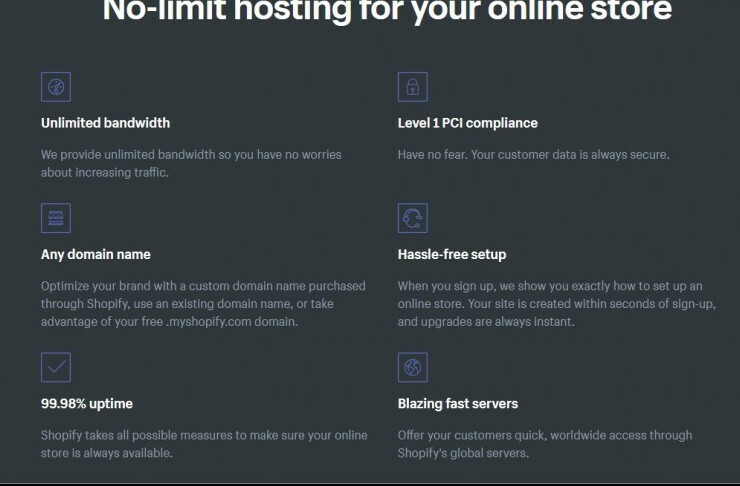 Shopify gives you UNLIMITED bandwidth for your “.com”. 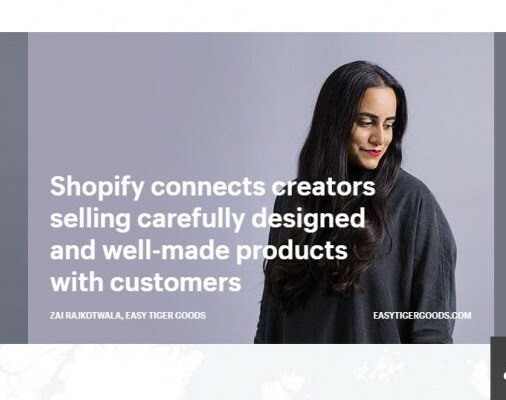 In other words, no matter how big your business grows, even once you’ve built your own empire, bringing in $100,000+ each month and welcoming 50,000+ monthly website visitors, Shopify will continue to handle the load without collapsing, or even slowing down. It’s fully secure, lightning fast, and can set you up with a new website OR accept your pre-existing one. This helps you keep customers, my friends! The details are below. So What Does it Cost to Use Shopify? That was my big question. I’m going to be honest, when I first started seeing rave reviews about Shopify I still ignored it, and wrote it off. 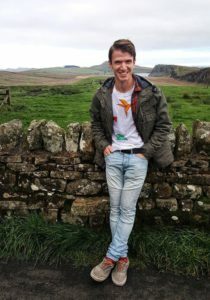 My assumption was that it was absurdly expensive, and that starting a lucrative online business was only a viable option for someone with stacks of savings… I was still trying to keep up with tuition bills. Truly starting a profitable business is NEVER going to be free. If we wait until something free comes along, we will spend the rest of our lives toiling in 9-5 jobs, that leave us too drained at the end of day to give our families the attention they deserve, punching clocks, dreading Mondays, and longing for our little weekends. Starting a business is an investment. BUT IT DOESN’T NEED TO BE AN EXPENSIVE ONE! That Basic Shopify plan is completely sufficient to start up your business! Shopify for $79 per month is for when your business is running hot, and making solid profits. The Advanced Plan for $299 is for when you already have a lucrative business, and you are ready to start scaling it to create it into a giant. $299/month may sound like a lot of money now, but when your business is already bringing in enormous profits, this is a business expense that is very easy to absorb. Just to put it into perspective – running a typical small business that is generating over a million dollars annually will have a mortgage or building lease, property taxes, employee payroll, extensive office utility bills, office supplies, business insurance, professional fees (lawyers, CPAs, etc. ), and yes… even toilet paper… THIS IS BEFORE MARKETING, ADS, AND OTHER REVENUE BOOSTERS ARE EVEN FACTORED IN! It costs thousands and thousands of dollars a month to run most brick-and-mortar businesses that are making money. So the opportunity that the Internet, and Shopify present, is astounding. There is also a Shopify Lite option for $9, and an enterprise option Shopify Plus that you need to call a sales consultant to discuss. Your opportunity lies ahead of you! The only thing left to do is take action, and stay motivated! But the inadequate support is extremely annoying. Hi Dave! Thanks for commenting! Yes, I have heard only a bit about WooCommerce, fairly recently. My experience is pretty limited, but from what I’ve researched it IS a decent option. But it’s not necessarily a viable alternative to Shopify. The issues with support was one weakness, it requires that you do a lot more of the technical work yourself, which eats up valuable time and effort, while Shopify and BigCommerce will do many of these things for you. It’s also much more limited in payment options, whereas Shopify and BigCommerce can accept all different kinds of options, from credit cards to bitcoin. They are also very mobile friendly, and have fast and thorough support. The other concern is just that while the price for WooCommerce is exceptionally low, it also has fewer services than the others, which eventually forces you to purchase add-ons and plugins, which Shopify or BigCommerce would simply include in the membership. These add-ons and plugins drive the price up unexpectedly high. So while there’s definitely a lot to love about WooCommerce, especially in light of it’s low starter cost of about $13, it’s debatable that the $10-$15 saving from Shopify is enough to offset it drawbacks. Ultimately, it’s a budget choice you can make! Generally, the old adage “you get what you pay for” holds true. Wealthy Affiliate is the only “cheaper” option I’ve ever experienced that has broken this rule. I’ll try to do a more thorough review of WooCommerce soon, once it gets a few more months under its belt :)! It’s good that I landed here in your article about Shopify. I was considering of studying this kind of online business model as my brother is wanting to start an online shop selling objects that were printed out by a 3D printer. He’s asking for my help, but I feel like I’m already loaded with other blogging commitments. So, my suggestion for him is to open an account with Shopify, because, I think it is more “hands-free” to promote a Shopify store via an FB ad. Now, my question is, what if I want to also do search engine optimization? What are the ways to make an online store powered by Shopify get ranked high in the search engines? I’m wondering about this because, an online store doesn’t have much written articles compared to “blog style” websites. Can we include a blog page or blogging system to an online store powered by Shopify? Hello Gomer! I’m glad you landed here as well! Your brother’s business idea sounds very good – my father also works with 3D printers and they provide a very unique opportunity. Please feel free to direct your brother here if he would like an overview of Shopify and how it can help him. As far as the SEO for Shopify: Shopify comes with many of the features that powerful affiliate marketing companies, like Wealthy Affiliate, also use. It will design content for you that is already carefully designed for search engine optimization. For example, auto-generated canonical tags are automatically added to your Shopify pages to prevent duplicating content. It also creates your sitemap and themes to be extremely search engine savvy. The SEO plugins that are provided by a service like Wealthy Affiliate are also provided by Shopify. Shopify also automatically comes with a design that includes a blog. While it’s not quite as pivotal to a webstore as it is to affiliate marketing, Shopify will still encourage you to blog, and continue social engagement, as well as providing you with all of the tools, share buttons, and even automation necessary. I’m sure you’re also familiar with keywords and their importance. Keywords will matter with a Shopify store just as they do for affiliate marketing through a blog. Your brother may benefit from connecting his Shopify storefront to an Amazon selling account. Amazon and Ebay have their own keyword strategies, and this will influence traffic to the Shopify store. Also bear in mind, again like Wealthy Affiliate, Shopify has an extremely responsive community and support system, so that any questions your brother may have about the SEO process will be answered quickly. He will still need to some of his own keyword research, though. These are just some basics, but I hope this helps! Your Shopify Review sounds really interesting but it has left me with a few questions to ask you. How does Shopify get you ranked on Google to bring the traffic to your website or do they use Social Media to drive leads? Also, if you are selling your own goods online, is it better to get the $79 a month package or can I do this with the $29 package? Hello Jeff, thanks for dropping by! Shopify has many of the same kinds of plugins as affiliate marketing organizations like Wealthy Affiliate. It has dozens of automated features that are active in the background on your site. You will still have to do some of the legwork in researching keywords. They matter for a webstore just as they do for affiliate marketing. Shopify provides you with a blog, SEO friendly themes and templates, and easy-to-use social media features. You can run an extremely successful business selling your own goods with the $29 package. It is perfectly sufficient. It will host your website (or build you one if you don’t have one yet), provide you a beautiful storefront, options for effective shipping, all payment forms except for gift cards (which is an advanced option you can get with the $79 plan for a very established business), a blog, 24/7 responsive support, discount codes, the ability to design your online shopping cart as you would like, and even the capacity for 2 employee accounts… this is all under the $29/month plan. Thanks Jeff, and if you have any more questions please let me know! I almost got into dropshipping with Shopify. However, I went into affiliate marketing instead. However, I think Shopify is awesome also. If anyone is considering an online store, Shopify is the way to go I believe. The simplicity and ease of the platform is state of the art. They have an app for anything you want to do it seems. Do you have a Shopify Store? What do you sell? Affiliate marketing is also a great way of earning income online! It definitely takes time to get going, but it’s by far the most affordable option for starting out. I would definitely recommend eventually diversifying into dropshipping as well, especially if you are working from home full time. Like anything else, there’s a learning curve, but Shopify makes it much easier. My experience with Shopify is actually as a developer, developing stores for others. Essentially, you can build a store for free, through Shopify, and then sell it to a business owner for a profit. as well as profit sharing for a period of time. A friend of mine, for example, sells industrial grade dispensing syringes (used for things like scrap-booking, or mixing juices for vaping). He gets the parts at wholesale prices, brands them, and flips them for a good profit. My wife and I are in the process of starting a store as well, which will use print-on-demand to put her portfolio of artwork onto shirts and coffee mugs. Great review and guide of Shopify. This was actually something I looked into a bit when looking for an online business to start. I eventually settled on Affiliate marketing, but it seems like Shopify is something I can integrate into my online business if I end up selling a physical product one day. It’s crazy how many young twenty-somethings are making hundreds of thousands of dollars on this platform! It’s great to see so many legitimate online opportunities these days like Shopify. Hi Wilson, thanks for your encouragement! Affiliate marketing is a great choice! I definitely agree, it’s incredible the kinds of opportunities that can be found on the internet. It definitely requires a lot of caution and research before jumping into anything though, because of course there are always dead ends and scams all over. I’ve found Wealthy Affiliate to be the most helpful in affiliate marketing, and Shopify in the dropshipping/physical products side. I agree, the income opportunity is really cool! I have friends that are making higher salaries than orthopedic surgeons running Shopify stores, with none of the student debt, and working half as many hours. It definitely takes time, persistence, self-motivation, and a lot of initial effort. But the platform, the education, and the tools are all there :). I work on some handmade crafts as a hobby and I am looking to go into it full time by creating an online store. 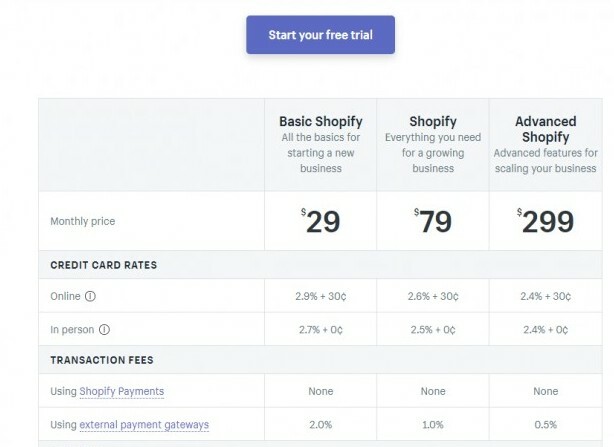 This article gave me a good overview of what to expect from Shopify, especially with the set up cost. I also heard that WooCommerce by WordPress is equally as good, so I am actually contemplating between the two. How would you compare WooCommerce and Shopify? Do you have any experience using either one of them? My wife and I are actually pursuing the same kind of thing – using Shopify to sell her artistic designs on shirts, tea/coffee mugs, phone cases, etc. It’s definitely worth writing out a business plan before jumping in, and taking consideration of all the costs. But there’s an opportunity here, for sure. I have family members who have done well with Etsy, and now Shopify provides an opportunity to become full-time. I have heard a bit about WooCommerce, and have done some research on it recently, but I don’t have personal experience with it. My understanding is that it is fairly comparable to Shopify. It’s cheaper to use, by about $10-$15 per month, and that seems to be it’s greatest pro. I believe the starter price is between $13 and $14. 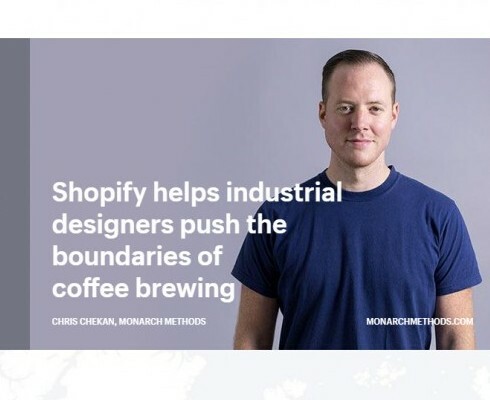 The downsides, from what I’ve read, are that it does not provide the extensive ease of use or options that Shopify provides, which forces you to spend more time and energy on technical details and technology. It also has additional expenses because you need to purchase many of the plugins and services that the Shopify membership just comes with anyway. Generally, the old adage “you get what you pay for” holds true. The basic Shopify plan, so far, seems to be the best start-up for e-commerce. Just as premium Wealthy Affiliate seems to be for affiliate marketing. HOWEVER WooCommerce is only about 3 1/2 months old, and there’s a good chance that continuous improvement of their support and services could make them a very viable alternative to Shopify. I hope this helps, and thanks for dropping by! I have been meaning to join Shopify and see if it will work for me but I have been wondering if the basic Shopify account can really help me build something substantial that can earn me money to upgrade. Is that really workable? I don’t have much money at the moment and would want to start a business at Shopify. Please help me. I can relate! When I started out online I actually didn’t have a job, or consistent income, and was living paycheck to paycheck off of my wife’s income while I searched for opportunities – I didn’t have money to start up a business! The Basic Shopify plan is definitely enough for you to create a business that will make you a full-time income. I wouldn’t even recommend upgrading beyond that until you are reaching massive numbers of webstore visitors, and very high profits. Unfortunately, it’s not going to be easy to make money within the 14-day free trial. Unless you already have a really hot product, and a solid brand idea, it will take more time to start making regular sales. I would likely recommend you try selling through Amazon and Ebay first, and then use those profits to start up your webstore with Shopify. Good luck! You can do it! It can be discouraging in the beginning, just like affiliate marketing or any other kind of small business, but these things take some time, and consistent motivation… the sales may come in as a trickle, then a stream, then a river, then a tidal wave. Then it’s time to scale, and things will be great! Amazing review! I’m actually a professional eCommerce manager, my background is in luxury fashion and goods. You hit the nail on the head when you mention how branding adds remarkable value. You can indeed buy that $4 wallet, maybe buy a batch of boxes with your logo and tissue paper for another $2, have some care instructions printed on a card with your logo for another $1— and just buy adding $3 to your cost per wallet, you’ve then created a luxury unboxing experience and can charge $40- $50 for that wallet now. Particularly in eCommerce, branding is everything. Shopify certainly has the tools to set online entrepreneurs up for success. They are highly respected and recommended in the eCommerce community for small and mid-size brands. Thanks so much! Your endorsement means a lot, especially considering your impressive career experience. I would love to hear about your experience managing eCommerce in that field! I actually have some interest in doing the same, at some point. Are you thinking about creating your own brand online? Possibly in luxury apparel? It’s pretty amazing how powerful branding is in giving value to a product. It makes me think of companies like Hunter boots, that can sell rainboots for $120 that they can get for almost nothing, just by packaging it right, and developing a good name. Shopify is an amazing new frontier! I have tried a few different ecommerce platforms such as BigCommerce and Wix, but finally I came across Shopify and can say they have made things much easier than any of the others I’ve tried. One cool thing I really liked about Shopify is their ability to integrate with industry leading platforms like Amazon. If I were to recommend any ecommerce platform that gives you all you need, Shopify is by far my top pick. Great info on a great ecommerce company. Thanks! Cameron, that’s awesome! I’m glad you’ve found success with the platform. It’s essential that the actual platform run smoothly, especially when much of it can be intuitive, or autonomous. I don’t have as much experience with BigCommerce or Wix, although I’ve been considering looking into them for a while. Integrating with Amazon or Ebay is another essential, as you said. The ability to combine with these will help a physical products company immensely, and get your product in front of the most eyes.